Cardiff and Vale University Health Board has been awarded Gold for its support to the armed forces, only 50 awarded in the UK this year. 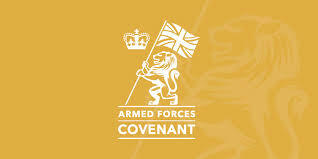 The Health Board was awarded a Gold Award announced by the Ministry of Defence for businesses and organisations who have shown outstanding support for the military community and the Armed Forces Covenant. The ‘Gold Awards’ recognise that Cardiff and Vale UHB have shown fantastic initiative in areas such as employing veterans and providing support for the armed forces helping them into a new career. Now in its fifth year, the awards have really become the highest badge of honour available to those that employ and support those who serve, veterans, and their families.